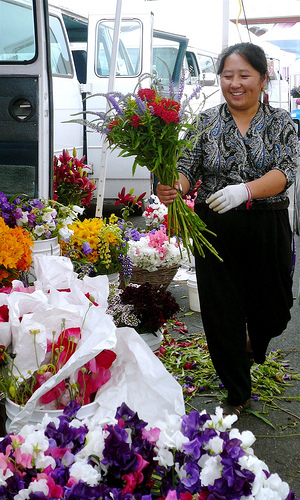 The 2011 Farmers Market season opens on Wednesday, April 27th. It runs every Wednesday from 3-7pm till October 19th. Last year, after more than a decade in the same location, the Columbia City Farmers Market moved out onto Edmunds Street. This year, with the support of the entire market community including farmers, shoppers, neighbors and staff, we'll continue to set up on Edmunds Street …every Wednesday. 45+ Farmers bringing you local produce, flowers, breads, sweets, fish, meat and fresh dairy. local outreach and education and chef demos. Look forward to another great season. See you at the market!